Your CISSP exam and curriculum is changing. With the release of a brand new exam blueprint and updated CISSP domains imminent, the material you're revising now will soon be out of date. The switch will be made on April 16th 2015, when the ten CISSP CBK domains will be reduced to eight. As a result of this refresh, the CISSP exam will be altered to reflect the new CBK changes (but will remain the same format). Any training or revision material you use must also be updated, or you’ll risk revising irrelevant content! Don’t get caught out by the 2015 domain refresh. Take a look at these up-to-date revision resources, aligned to the 8 brand new CISSP domains. Released last week, you don’t get any more up-to-date than (ISC)2’s Official Guide to the CISSP CBK. 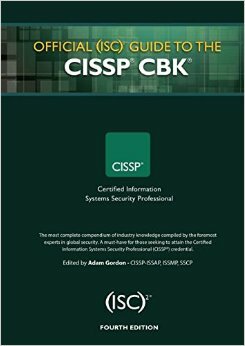 This official guide, endorsed by (ISC)2 and edited by Adam Gordon, covers the refreshed technical content added to the CISSP CBK. The book provides a comprehensive guide to the eight CISSP domains and includes illustrated examples, practical exercises and real-life scenarios. And remember, if you’re an (ISC)2 member, you’ll get 50% off Official (ISC)2 textbooks! Dave Miller has been an IT security specialist since 1980, is a published author and lecturer. So it’s no surprise he’s been following the new CISSP CBK with interest. To watch the webcast, sign up here. (ISC)2 has released a candidate information bulletin in line with the new CISSP exam blueprint. This massive document includes overviews of each of the 8 brand new CISSP domains alongside the key areas of knowledge you’ll need to understand to pass your exam. This resource is excellent for any professional who needs a quick refresher on what’s contained in the new CISSP domains. 1. Which one of the following is the MOST important security consideration when selecting a new computer facility? 2. Which one of the following describes a SYN flood attack? 3. Which one of the following is a limitation of fuzzing, as it relates to secure software development best practice? Find the answers on Page 33 of the CISSP candidate bulletin. Got a burning CISSP question? If you’ve got more questions, take a look at our CISSP FAQ covering the new exam blueprint. 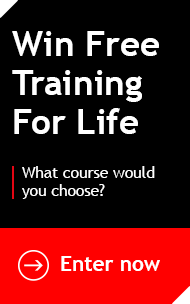 And if you need to get certified with accelerated CISSP training, good news – Firebrand are the only authorised (ISC)2 partner in the UK and will be teaching the latest 2015 CISSP material from the 20th April 2015.